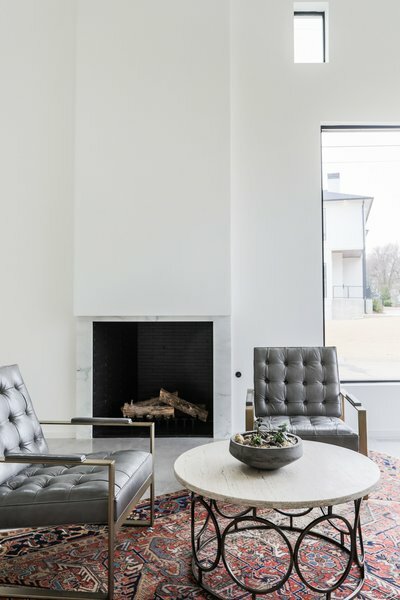 White marble and concrete floors give the fireplace at OKC Modern an industrial edge. 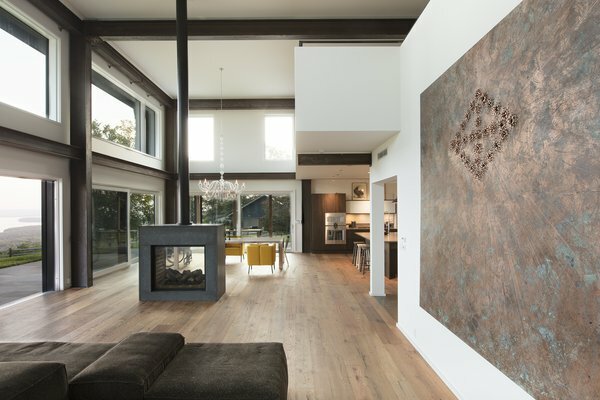 The modern home by Butzer Architects and Urbanism is striking yet intimate. The fireplace in Mississippi Modern by Charlie & Co. Design is offset by floor-to-ceiling windows—but not an ounce of coziness is lost. The living area of 2 Barns features a doubled-sided fireplace, hardwood floors, and a neutral color palette. 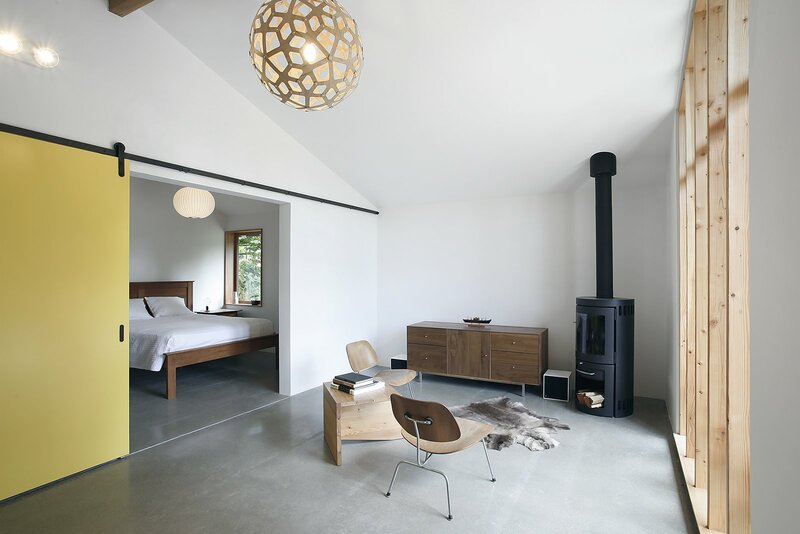 Architect Barry Price prized utilizing local materials in the ADA-accessible home.